Here in old Blighty the term 'poacher' is loaded with very different resonance's to the US of A, here there is a long tradition of the peasant taking a few of the land owners animals for the pot, and the poacher is a kind of rural anti-hero specialising in hunting with extreme stealth. I slowly, very slowly slid my gun into position, eased off the safety, took aim and fired! 'Crack!' went the gun and 'Daylight!' went the scene as lights came on in three different positions. 'Police!' Whether it was just a fluke, a coincidence, or whether I had become too much a creature of habit and had gone over there too often on the same night of the week I will never know, but what I did know was that these coppers' meant business and had been in wait for me and the chase was now on! 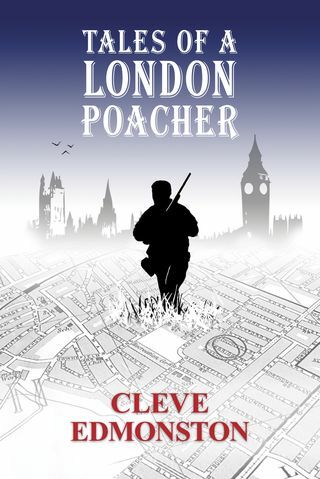 Tales Of A London Poacher is a fantastic set of tales - transplanted from the rural setting of most poachers tales, to the outlying London suburbs in the early 60's. I met up with Cleve and over a couple of pints he regaled me with tales his life afield, from his initiation into field craft and hunting as a young lad in the early 60's. Cleve's book is set in a time before firearms hysteria, when two teenagers walking into a suburban cafe with their shotguns was perfectly normal and no one batted an eyelid or called the armed response unit. A time where the checks and balances of the boys respect for the water-board guy were enough to limit their hunting to unobtrusive, and as long as it stayed that way the water board guy never ran too fast to catch them. Hunting on the reservoirs of east london with an air rifle and later an Anschutz 'garden gun' [which is basically a very small shot gun for pest control without perforated cabbages], he learns his chops from the older brother of a girl he was at school with having already honed his marksmanship from the age of eight as a professional snail hunter - ridding his dads vegetable patch of the evil curse of the Helix Jardiniere. What comes alive in the book is Cleve's passion for wild places, even if those wild places are little pocket of land surrounded by the city. He's also a bit of a Hugh Fearlessly-Eats-it-All introducing dozens of people to the delights of eating wild game. Sometimes with hilarious results. Could this be The Real Suburban Bushwhacker?